If you want to promote social justice and if you believe that doing so requires changing the distribution of power in society, then you should consider devoting your energy and talents to rebuilding the American labor movement as a union organizer with HTC. Labor unions have done more than any other institutions in this country to challenge the power of the wealthy in America. Unions also attack the symptoms and the causes of injustice, by making big tangible improvements to the lives of working people and by putting collective power in their hands. Unlike many not-for-profit organizations, local unions belong to and are controlled by the people they serve. They are entirely funded and democratically governed by their membership. HTC is currently seeking applications for the following positions within its Organizing Department: Organizer-In-Training, Organizer and Lead Organizer. We look to hire the best of the best so we are always accepting applications for these positions, and, because our membership voted overwhelmingly to increase their dues, we have the funds to hire more Organizers. 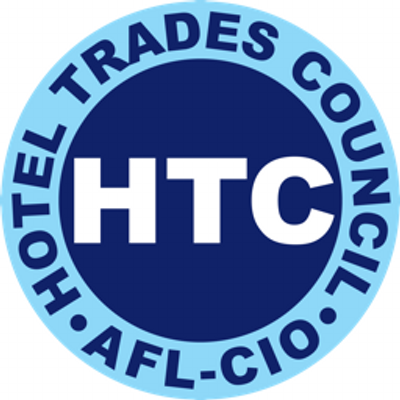 The Hotel Trades Council, AFL-CIO (HTC) is the union for hotel and gaming workers in New York State and Northern New Jersey. Our union’s membership of nearly 40,000 is extraordinarily diverse and includes large numbers of immigrants and women. HTC is widely recognized as the strongest and most successful local union, with the best union contract for hotel workers in the world. The New York City hotel industry has been experiencing a prolonged construction boom and it is vital to our members, and to those who work without the dignity of a union contract, that we maintain and improve union density in our industry. HTC is building a larger internal and external organizing program, to mobilize our members and unionize non-union workers on a mass scale. So, there are job openings with HTC for talented, hard-working, practical, tough-minded college graduates who are ready to join the fight in the labor movement, as union Organizers-In-Training. There are also openings for those with more experience as Organizers and Lead Organizers. These positions are rewarding, long term career opportunities with excellent prospects for advancement. HTC is highly selective in filling them. Experience working in the hotel, restaurant, hospitality, or other service industries. Ability to establish close relationships with people form diverse cultural and economic backgrounds. Organizers-In-Training typically work in the Internal Organizing Department (working with the union's members in the hotels where they work). This is the best way to learn about what our union does and the industry conditions affecting the workers we represent. We have built a rank-and-file leadership structure called the Hotel Employees Action Team (H.E.A.T.) System. The purpose of the H.E.A.T. System is to increase the participation of the membership in the union and to greatly enhance the union's ability to mobilize our members for large-scale action. Organizers may be assigned work in the H.E.A.T Department or on external organizing. Lead Organizers typically work on external organizing campaigns. Staff may also be assigned to work on internal and external organizing in Washington, DC. Organizer positions are the starting point on a career track to the most interesting and important leadership positions within our union. Staff is expected to learn and grow professionally at an accelerated pace. Promotions are common among successful Organizers-In-Training. Organizers who distinguish themselves can move into other key positions within the organization.